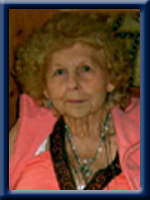 Labrador, Onieta Hazel, of Sable River, Shelburne County, passed away Friday, August 27th, 2010, in the Infirmary Site, of the QEII Health Sciences Centre. Born in West Green Harbour, she was a daughter of the late Dexter and Hazel (Staurt) Williams. She is survived by her loving daughter Caroline (Wayne H.) Whynot, of Milton; granddaughter Dana (Kelly) Frank, of Port Joli; grandson Waverly (Donna) Whynot, of Beech Hill; great granddaughters Kari, Alisha; great grandsons Tyler (Amanda) and Ryan. She was predeceased by her husband Frank, grandson Wade, sisters Elizabeth, Helen; brother Calvin; half sisters Mary, Angeline; half brother Morton. So sorry to hear of your Mom’s passing.Our thoughts are with you all. Caroline and family we were so sorry to here of your Mom’s passing our thoughts and prayers are with you all. Our sincere sympathies go to you and your family on the passing of your Mom .May the warm memories of her comfort you . CAROLINE&WAYNE,I WAS SADDENED TO HEAR OF NEETS PASSING.SHE WAS A VERY SPECIAL LADY TO ME.I WILL NEVER FORGET ,ALWAYS SO SWEET & KIND.I WILL MISS HER. sorry to hear the passing onieta. i know how much she loved her family from the stories tyler and dana would tell. our thoughts are with all the family at this sad time. Onieta was such a lovely woman. I enjoyed my many visits with her. She will always be thought of and remembered. My sympathies go out to all of Onieta’s family. Waverly and family… Sorry to hear of the passing of your grandmother. Take care and may God bless. Our condolences to Caroline and Wayne and Family.